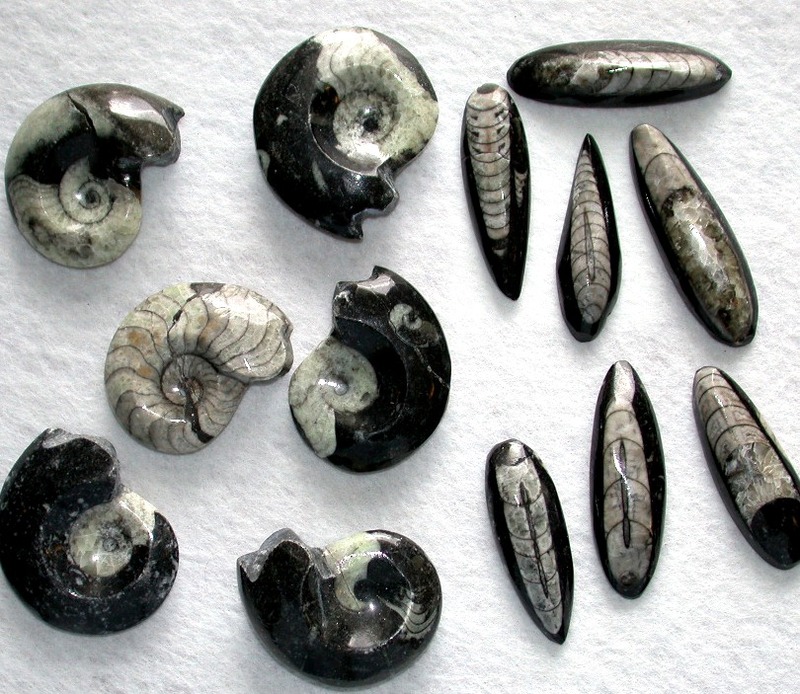 Random sampling of ammonites and orthoceras offered. fossils are around 2" to 2 1/2". 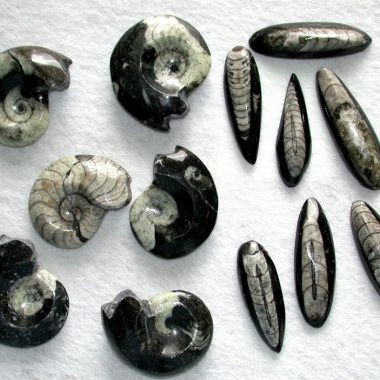 Ammonites and Orthoceras are long extinct varieties of cephalopods. The ammonites were disc shaped while Orthoceras were long and tubular. Both types of fossils are ideal for making pendants and wire wrap jewelry.